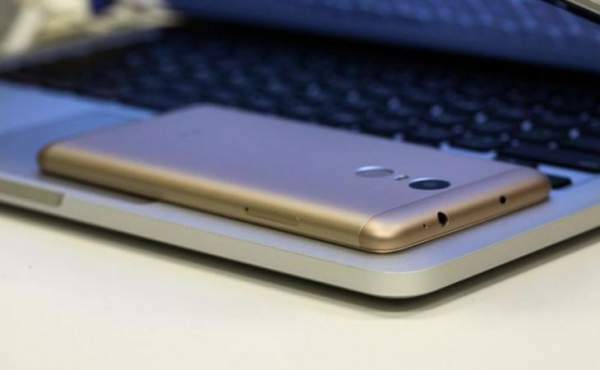 The RedmiNote 3 launched in China back in November was a one of its kinds by Xiaomi having a fingerprint sensor and a full metal body weighing 164 grams (a bit heavy) and is 8.65mm thick. Powered with 2Ghz octa-core MediaTek Helio X10 chipset and having a 5.5-inch FULL HD (1080X1920)p display comes in two variants having: 2GB RAM for 16GB internal storage model: and 3GB for the 32 GB internal storage variant with a 4,000mAh battery to keep it functional. Coming to the image capturing area Xiaomi Redmi Note 3 is loaded with a 13MP camera with phase detection autofocus and 5MP camera front camera with an add-on of two-tone LED flash for both the rear and front camera, while other features consist of Wi-Fi, Bluetooth and dual –sim functionality having 2G,3G,4G connectivity. The price for 16GB variant is fixed at 899 Yuan (approximately Rs.9, 350) and 32GB model is 1,099 Yuan (approximately Rs. 11,400). The one announced today was variant of RedmiNote 3 (launched back in November 2015) with the new Qualcomm Snapdragon 650 with a 64-bit 1.8 GHz hexacore CPU replacing the chipset. Also, the other changes were Adreno 510 GPU giving high graphics performance and integrated X8 LTE with Cat 7 speeds and support for VoLTE (Voice over LTE). Another significant variation from its predecessor is of the rear camera as it was upgraded from 13 megapixels to 16 megapixels with f2.0 aperture and phase detection autofocus till remains. The Xiaomi’s attempt to blaze its phone with iPhone 6 looks is remarkable. The rate of 16GB is fixed at 999 Yuan (approximately Rs 10,280) and for 32GB, it is yet to be announced. Xiaomi also announced that the same will also be available for sale in the Indian Domain soon and to lure its fans in India, Xiaomi has started the Redmi Note 3 Explorer Challenge in India according to which 100 chosen Mi fans will get the phone try out before it is out for sale. The challenge is something of sort of completing 100 challenges. The interested ones can register before 31 January by clicking on the below-provided link.